I have received many messages from parents who have children affected by autism spectrum conditions who are now adults who are either at home or in different circumstances and cannot see a way forward. this may assist? What is your son/ daughter behaviour support plan ? What’s support services are Social Services providing for him /her? Has he /she had a community services care plan? How old is his/her care plan ? Is it adequate ? Do you need to call a review or reassessment of his or her needs? It seems to me alot of the concerns that parents have mentioned are based around the lack of structure your son or daughters life in both short ,medium term and long term goals? This isn’t something that can be dealt with overnight it will take time. You need a plan how you are going to execute your son or daughters plan with his / her support, it’s not going to be easy to get it going but the key thing is to get it going. Hope this helps please share your experiences and comments. Passionate about the cause of improving the lives of those with autism and their families and carers Patron of Anna Kennedy Online ,author Kathy Lette said. Anna Kennedy Online was launched three years ago by Anna Kennedy OBE Tesco Mum of the Year ,founder of Autism got Talent and Pick of the Day BBC 2 VIdeo Diary documentary ‘Not Stupid’ ,where Anna shared the story of her two sons with autism and who fought tirelessly to get them a better education. As part of her struggle Anna founded her own school Hillingdon Manor, which is now largest school for children with autism in UK. Kathy will be presenting some of the acts on Autism got Talent on May 11 at Mermaid Theatre in London. I want to take a slightly different angle with this article but one that I feel is VERY important. ‘Pressure’ in all forms is a very powerful force. In nature we witness ‘pressure’ when a volcano finally blows releasing all that stored up inferno of energy. ‘Pressure’ surrounds us in different forms each and every day, A car tyre requires an amount of ‘pressure’ to work properly and water runs through our taps thanks to the ‘pressure’ that pushes it along. ‘Pressure’ can sometimes be a good thing. 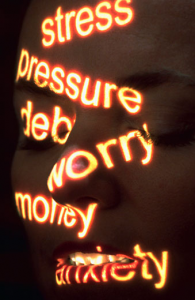 It can motivate people to do better within their role in life, but, all too often ‘pressure’ can have a very negative effect on each and every one of us. How many parents reading this have had those days even weeks when everything has JUST GOT TOO MUCH AHHHHHHHH!!! You try your best to make life as accessible for your child or relative on the spectrum as you can. You put up with all the dark moments. Side comments are thrown at you. Objects are thrown at you. Things that are valuable to you are damaged. You have another ‘care plan’ to read. Another letter to write to the school who don’t understand why they act the way they do. Clothes that you worked hard to pay for are torn and ruined within minutes. Looks from people passing you on the street. Comments heard from others close to you that don’t understand the meltdown you are dealing with. The blunt literal comments. No thanks. No help. No sleep. It all builds and builds and one day BANG!! Now, I’m glad to report that on the whole we as human beings don’t tend to explode! But that doesn’t mean we don’t feel the effect of all that pressure. When it blows it makes it hard for us to stay in control and everything seems harder. We may just walk away in anger and then hate ourselves even more for walking away. Our understanding and ability to do things in a rational manner is impeded when under supreme pressure. Someone that is calm and having a great day can deal with that meltdown that comes along a lot easier than someone who really is at their wits end. The calm person will reach an easier conclusion quicker because they themselves are not adding to the problem of the meltdown. Someone who is tired, exhausted, anxious, angry, frustrated will take longer to reach that same conclusion for a meltdown because they themselves are adding to the situation. A child/person having a meltdown has no ability or reasoning of what someone else is feeling at that moment in time. They are the one in crisis and they need help/support at that moment in time so they need and expect us to fully understand what is happening. If they see the person with them is agitated and angry that adds to how they are feeling…… ‘I need help so why are you stressing….why shout when I’m having the meltdown’ there is a great loss of stability when having a meltdown so it must be a comfort to them that the person with them ok may not have the answer to solve the situation there and then but they are calm and in control, you feel safe knowing they are there. If your having a meltdown and the person with you has lost it as well then that ‘comfort’ isn’t there, extra panic and anxiety sets in ‘I don’t feel safe’. So what can we do? We can’t change or solve ALL those problems and experiences we have to face, BUT, maybe we can change how we get through them? If I shake can of fizzy drink the reaction inside means pressure builds up. If I ask someone whether it is inevitable that the drink will ‘explode’ out when I open the can I think 95% of people would say YES. If I did open the can straight after shaking it those 95% would be correct. So what happens if I don’t open it straight away? If I just give it 1 minute before I open it. That small amount of time changes everything that is about to happen. The reaction within the can stops and the pressure eases. Now, when I open it, those 95% that said YES are suddenly proven wrong and the small handful that actually stopped to not presume it was going to be opened there and then but thought ‘hmmmm its not inevitable that it will explode out because the time you open it makes a difference’ are proven to be right. This resting of the fizzy drink can is something we can all replicate in ourselves. A holiday or break would be the greatest thing but we know that is not likely to happen so we need to help ourselves where we can in any little way. It is never easy for anyone caring for, or looking after, a person on the spectrum to have time for them self. Moments are there but I think all too often we miss them or don’t see them. Just a couple of minutes, even only 1! !, can make a huge difference to what we are doing and how we are feeling. One afternoon in a residential home I was working in we had one lad who at a certain time each and every year showed a heightened pattern of challenging behaviour. This afternoon in particular was in the middle of this period of time and I was working with him. He had become so aggressive that it was not an option to just take him out for a walk as he often did in an afternoon. He was obsessing over things and the trouble was you wouldn’t know what it was going to be until it happened! So for example he might suddenly obsess over a particular colour and want to be close to it or want it as far away from him as possible. This was a big and very strong young adult. If he wasn’t happy with something then it was leaving the building in any way he could get rid of it and the same would happen if you were out walking. If he saw something he didn’t like then he would very likely smash into a house that may be being passed or shop or vehicle to get it and get rid of it and you could not stop him. So, for his own safety and that of others at times when there was only 1 person assigned to him he would have to stay in. On this afternoon he suddenly decided that he hated newspapers……great…..they were everywhere! Two of the other residents were folding up papers with their support workers ready to go and do their paper round and another one was sat with a pile of old newspapers because he liked to sit and fold them up. Nothing else would do, he HAD to have newspapers to fold. If you know someone is going to have an issue with something you can ensure it is not in their environment but with him suddenly taking against things there was no warning. There was chaos! I was getting hit…thumped……pushed and all manner of things in trying to distract him into leaving the others papers alone. This on its own I could handle, it’s not nice but hey that’s the job. While this was going on and I was trying to get him to have a nice relaxing soak in the hot tub one of the other residents who was new and had a history of being very volatile and could bite anyone near him etc went into a pre-seizure state of mind where his attitude became unsettled. The two getting ready for their paper round were sent out with their staff so there were less people around and a ‘low arousal’ environment could be put in place. The only problem was the member of staff with the ‘new’ resident hadn’t experienced behaviour like this so began to panic. With her panic setting in the resident she was supporting picked up on this and started to lash out more and more even chasing her around. The poor lady ended up hiding behind me. So now I have two very strong adults both with heightened behaviours. Somehow I managed to show the other member of staff how to best react to these things and after having earned myself several more wallops soon had one in the hot tub and one on the garden swing. Both were smiling away as if nothing had ever happened and content with the moment. It was 6pm and I was on a double shift so had already done 10 hours and had finished late the night before with little sleep as I was on sleep in duty and had done 14 hours each of the previous 4 days. I was tired and drained. Soon the others returned and also a group that had been off clothes shopping. Within that group was a new Deputy Manager who had gone out with them to see how they all were in different environments. A great manager not relying on paperwork alone but happy to get her hands dirty to see how things really worked. Arranging the main meal for the evening could be a stress as a number of residents had different requirements and then…who is going to listen to what ……who has the television on….what they have the television on etc all this chaos some would struggle to get through as shift leader but I always coped with no issues……..except for this day. I was irritable and kept mishearing things, I was snappy with other staff, I started to do EVERYTHING because I thought others weren’t doing things right. Being tired and dealing with the 2 violent guys had taken a lot out of me putting me on edge without my noticing or being aware of it. This is a recipe for disaster!! Luckily the new Deputy Manager was watching all this go on as she mucked in. She stopped to ask the member of staff that had been with me all afternoon what had happened and she read the shift report up to that time. After gathering this info she walked up to me and said ‘Austin…..have a fag break’. I looked at her puzzled and said ‘but I don’t smoke’. Her reply was simple ‘I know you don’t smoke but your having that break NOW’. Pride sets in and of course I said I was fine nothing to worry about. Inside your annoyed because you think ‘hey I’m a tough person and nothing stops me’. The lovely Deputy Manager could see me obviously having these thoughts and said ‘Austin, you solve things and deal with things for us because when you are at your best your dynamite….but right now you are tired and not at your best and I just want you to go and switch off for 10 mins and then come back’. Begrudgingly I did as I was told. I sulked for the first minute and felt pathetic…….then I relaxed a little…..I watched some birds……could see the sun going down. 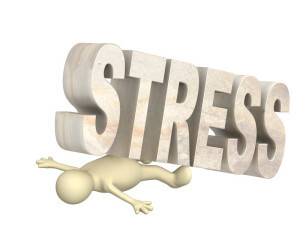 When I walked back into that building Yes I was still tired Yes I was still stressed but the ‘Pressure’ within me had just been eased so I was back to being me….stable and in control. I was the fizzy drinks can that had been shook and kicked all over the place but rather than let it build and explode someone had waited a minute before opening me. Ok you cry so why are you boring us with what happened to you? Simple, too often I think people give advice or suggestions without ever having ‘been there and done it’ also people point fingers at others. They mean well but in picking fault they make people feel bad. I give the example of myself so I can say to you all I AM ONLY HUMAN. I’ve been there, I’ve slowly felt that control slip and chaos set in, I’ve let it all get to me, so I don’t give suggestions as someone that ‘thinks they know better’ I give them as someone that has learnt for himself from his own failings. Now I know as a parent you can’t just say ‘oh excuse me for 5 minutes’ and walk off but you can work together. Give each other, when you can see you are both stressed, those 5 minutes to go and walk away while you stay carrying on and then swap round. In those 5 minutes you can do whatever you like lol Cry, Scream, feast on ice-cream if it helps! But whatever it is that does help DO IT. Just take those small few minutes to pat yourself on the back and say ‘WELL DONE’. All parents and relatives of those on the spectrum do amazing things and yet you rarely tell yourselves that. Even as a single parent you can do the same. It’s not just about walking away but about just finding a minute to think something different. 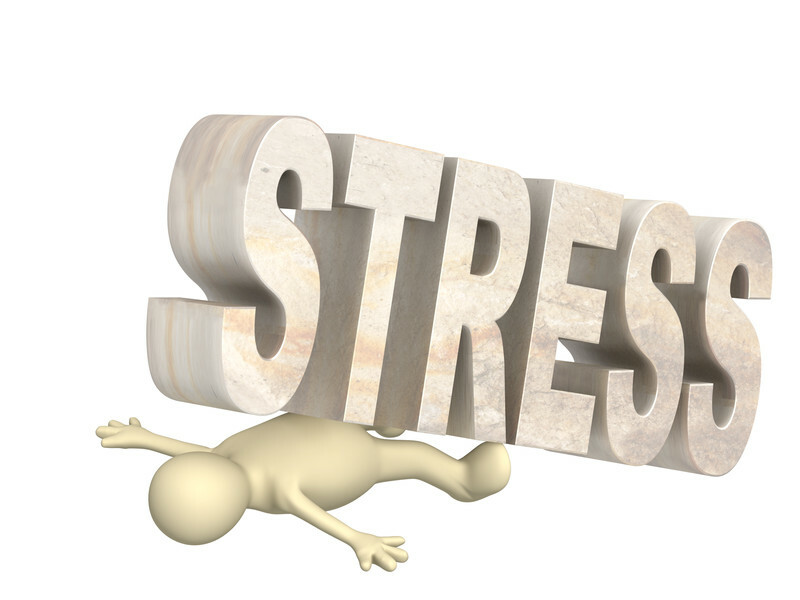 If you are tired….frustrated….at the end just keep doing what you are but say to yourself ‘Hey I’ve done really well here’ ‘Everything is going to be OK’ Give yourself support and comfort. You’ve dealt with all these things before so remind yourself ‘hey we’ve got through this before and will again now’. Even if someone is having a full blown meltdown ensure they are safe but while there just take that moment to gather your thoughts because I PROMISE you it is easier to deal with everything with that little bit of control than when it has all drained from you. Every night when you go to bed, which I know for many of you may not be for very long! Just tell yourself before you get into bed ‘Well done, you did great things today’. On the Rare occasion you get to have a cup of tea parents ENJOY IT!!! If the chance is there to sit down then do it! Take a load off those feet and your head for just few minutes. Those minutes I spent outside gave me the strength to get through and allowed me to remember I CAN DO THIS. Despite my hard work and the extra hours I put in that still doesn’t compare to what a parent does because even if it was just for a few hours at night I got to walk away. I might still think and worry about those I worked with but they weren’t always there needing me. A parent lives, breathes and exists under that umbrella of Autism 24 hours a day…….7 days a week….52 weeks a year……10 years a decade….on and on and on. Autism in all its many different forms can be challenging, difficult and often cruel to those that are on the spectrum. Those people would struggle to get through life and achieve the simplest things they do without YOU. Every child needs its parent, BUT, every Autistic child needs its parent and that love, stability and comfort more than anyone else can ever comprehend. You do and put up with things that the majority of other people could never imagine handling so find that time for yourselves no matter how short and stop and think…. 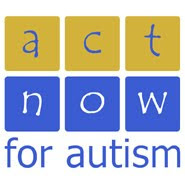 Act Now For Autism is a core group of people passionate about the future and well-being of children and adults with autism and associated conditions in the UK. Act Now For Autism are campaigning against aspects of the Welfare Reform Bill, specifically the WCA, Work Programme and the impact of the changeover to Universal Credit and PIP. We are ardently campaigning for advocacy to be offered to anyone who has to have a face-to-face assessment. Anna: “I feel an awful lot of pressure from parents…We’ve formed a virtual [online] autism community. We are supporting each other and parents are very angry at this moment in time. What they are saying is: Why does accessing services for simple education and care have to be a constant battle? It’s bad enough getting a diagnosis. It seems like you are almost being penalised because you have a child with autism. Tesco Mum of the Year Anna Kennedy.Anna: “…you’ve got local authorities that write these statements that are not worth the paper they are written on. It’s woolly word bingo. You’ve got things on there that they say they’d benefit from – well I’d benefit from winning the lottery! David Cameron: “You are absolutely right, I think the process of getting the statement of special education needs has been…very confrontational and also it hasn’t taken into account enough health needs and social needs and that’s what this new reform – it’s not in yet, we haven’t introduced it properly yet – should deliver. That when you’re getting your statement, rather like the Passport [to care] we were talking about, the person responsible for health and education…they’ll all be sitting there together so when you get the statement it should include everything. It’s not perfect because, in an ideal world, you’d probably have the statement done by someone completely different to the local authority because in the end the local authority is both the provider of the statement and the provider of the services. We can’t do that now, but I think this new process of having health and social care more involved will be better and I hope this new process is going to be more streamlined. Anna: “I’ve spoken to parents where they’ve waited months and months for an appointment and the consultant paediatrician says this child’s got some autism traits. It’s like saying you’re a little bit pregnant. You either are or you’re not. Prime Minister David Cameron.David Cameron: “We have changed the rules about this and this was based on my own experience. You’ve got to make sure that parents are properly told about what is available. The presumption should be choice. It should be the choice for the parent, looking at the evidence, looking at what’s available to make a choice about the child. David Cameron: “Help the parents make the choices. The approach this Government is taking is much more trusting of the parents, saying you should have more choice in safe special schools, stop the closure programme which we did. And then to put more power in the hands of parents whether it’s through individual budgets and direct payments so you’re in command. Anna: “He’s 20. I’ve had to set up everything myself, including a vocational college for 45 adults. I didn’t even go to university; I just about got ‘O’ Levels. It’s the passion for my boys and listening to other parents that drives me on. 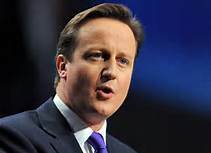 David Cameron: “…It isn’t really reviewed and assessed properly and it isn’t really based on a proper medical check. And so personal independence papers which we’ve put together listing very carefully to all the disability and medical organisations will be much more based on what your capabilities are and what your medical diagnosis is, and will be properly reviewed. “Now this is not about cuts. The money – DLA and PIP – the money’s going up, not going down, but there will be proper assessments. Because sometimes people on DLA have just been left on it for year after year after year. So what I‘d say to people is, of course change makes people anxious but actually it’s better to have a system that properly assesses you and then reassesses you on your need rather than a very, very complicated form. Autism risk isn’t increased by the use of recommended childhood vaccines, U.S. health officials found in a study addressing parent concerns that too many immunizations may cause the disorder. An analysis of 1,000 toddlers showed no differences in exposures to vaccines between autistic and normally-developing children, according to findings published in the Journal of Pediatrics by researchers at the Centers for Disease Control and Prevention in Atlanta. The CDC recommends 10 immunizations before age 2, and some require more than one shot. Multiple studies have shown measles, mumps and rubella vaccines don’t individually cause autism. A third of parents surveyed in a previous report were concerned too many vaccines given before age 2, or on the same visit, may be a contributor. About 1 in 10 toddler parents refuse or delay vaccinations because they believe the schedule to be unsafe, the study said. The research compared data taken from managed-care groups for 256 children with autism and 752 without. It found no differences in the amount of antigens the kids were exposed to in the first 2 years of life. It also found no support for the idea that too many vaccines on one doctor’s visit might increase the risk of autism. Antigens are substances in vaccines that cause the immune system to create antibodies. Some people have suggested that these immune-stimulating proteins hurt children’s developing bodies if too many are administered too quickly. “This adds more weight to the evidence that vaccines don’t cause autism,” said Frank DeStefano, a study author and the director of immunization safety office at the Atlanta-based CDC, in a telephone interview. Vaccines were singled out by parents in part because of a 1998 study by Andrew Wakefield at the Royal Free Hospital in London published by the Lancet. That study was retracted in 2010, and was determined to be fraudulent, according to a report in the Lancet in January 2011. The vaccine link seemed convincing to parents because some autistic children develop normally over their first year of life and then regress, losing their skills, Dawson said. That happens in about a quarter of autistic people. “It’s understandable that parents think about what could cause this regression to happen and vaccines were one question,” Dawson said. Today’s study looked at a subset of children who also experienced the regression, and found no differences there either.